How to Stop a Dog from Growling at Other Dogs for No Reason! Most Comfortable Pet Travel Carriers for Dogs and Cats! It’s no fun when you’re taking a walk and your dog starts to get aggressive with other dogs. You’re enjoying the fresh air while, but your mutt is trying to start World War III with the dog from down the road. It can be embarrassing and awkward to handle. Dogs react badly to different dogs for various reasons. Understanding what is going on when this behavior occurs is vital if you want to do something about it. The good news is there are various ways to deal with that dog-on-dog aggression. Using desensitization, avoidance measures and positive reinforcement are all strategies you can employ. Pick the right method and it should reduce the amount your dog barks or growls. 5.1 Should I Get a Bark Collar? There is always a reason why dogs growl and bark at each other. Your dog might feel threatened. They may be trying to warn or protect you. There might be a territorial thing going on. Did you know that female dogs are more likely to get into fights than male ones? The point is you need to realize that there is a reason for the barking and aggressive behavior. It hasn’t occurred by chance. A whole range of factors could be involved. They might have been abused or neglected when younger. Perhaps your dog didn’t have much contact with other dogs as a puppy. They may have been part of a large litter and had to fight to get fed by the mother. The behavior of the owner can also make a difference to a dog’s aggressive behavior. 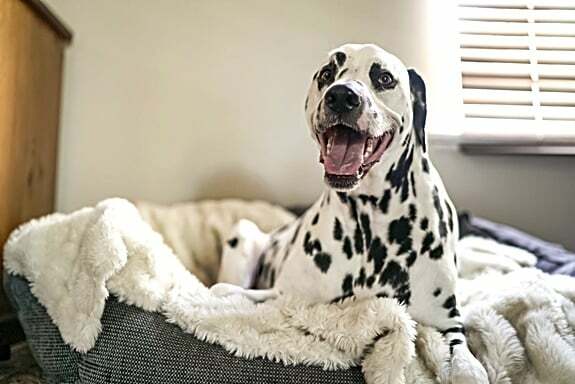 There could be territorial factors involved, particularly when dogs are sharing a home. It might be connected to the breed or a genetic disposition to aggressive behavior. Learning more about why dog’s bark and what causes aggression can give you a useful insight. That will also mean you can do something about the behavior. Finding your dog suddenly aggressive to another dog in the house is not unusual. The dog that instigates the bad behavior tends to be the new one introduced to your home. This can also be a more significant problem with younger dogs. Your older dog will have already learned the rules. The new dog or latest arrival isn’t used to having another dog around. If they’ve come from a pen, they might well be used to barking a lot at other dogs. If you find that a new puppy growls at your other dog, they probably need time to settle in. Once they get used to things, the barking and aggressiveness should calm down. Dogs can be getting along fine and then suddenly start barking and fighting. Separating them first of all is crucial if you want to stop things getting out of hand. You may find that there’s an obvious reason for the behavior. Perhaps one dog took something that belonged to the other. That could be a favorite toy or even a bone. Dogs can be pretty possessive when it comes to a thing like this. It could be that one dog has an injury or has been harmed by the other dog in play. Check your animals over to make sure there is nothing wrong. For example, your dog could have an insect bite on its paw. 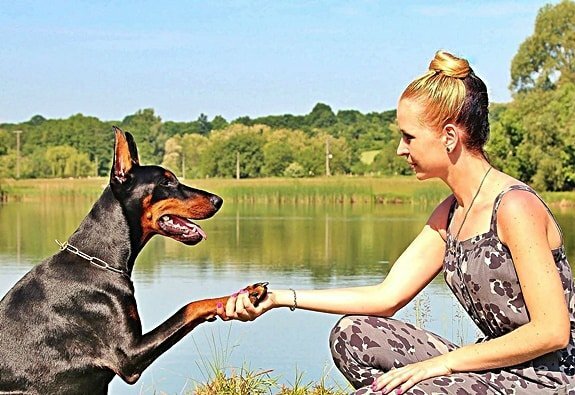 Dogs can also be pretty protective when it comes to their owners. If you have been showing one more attention than the other, it can lead to fights. Just like with kids. There’s a difference between out and out doggy aggression all the time and just barking now and again. While there can be many reasons for the more problematic behavior, you should always make an effort to solve the problem. Just accepting things is not a good idea. One method is to desensitize your dog by continually exposing them to the company of other dogs. You can do this if you have other friends and family with dogs in the household. It can teach your dog to learn to accept others over a period of time. Another way to prevent your dog from getting aggressive is to spot the early warning signs. 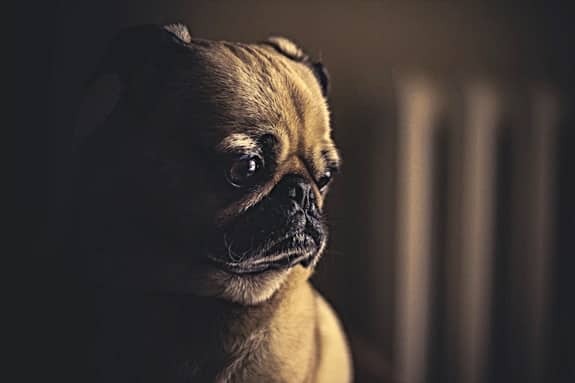 If you see your dog becoming agitated because of another dog, walk them away as calmly as possible. This works perfectly well if your dog hasn’t responded to other training attempts. Be aware that your dog may lunge on its lead. On the whole, using positive reinforcement is key to changing canine behavior. 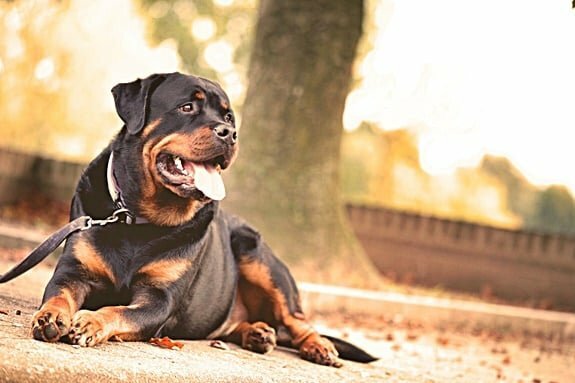 If your dog is aggressive towards other dogs, rewarding them when they behave can certainly work. Using punishing reinforcement rarely works at all. It’s tempting for some owners to punish their dog. This can involve pulling harshly on the leash or smacking them. Neither of these work and won’t do anything to diminish the barking behavior. At most, it will make your dog warier of you. At the very least it will make you feel bad about yourself. Positive reinforcement should always be at the forefront of your mind. Many owners have trouble with their dogs barking when out walking. You don’t know who you are going to bump into outside. That dog barking can quickly get out of hand, especially if you’re in a popular area for walking. Pulling on the leash will generally make things worse and cause your dog to bark more. Their behavior may not be down to aggression but excitement at seeing a fellow member of their species. Try to stay relaxed and move slowly away from the other dog. Personal space is just as necessary for our canine friends as it is for humans. You will find that once you are a certain distance away, your dog will stop barking. Most trainers will advise you to train your dog to respond to verbal cues. You might say ‘stop’ or ‘look at me’ for instance. This can be achieved using a system of rewards or treats but needs to be done regularly. Its purpose is to distract your dog from the other dog. However, much you try, there’s always the chance your dog will get into a fight. Even if two mutts are playing together, this can suddenly descend into chaos. Separating fighting dogs is never that easy and should be approached with caution. Sticking your hands into the fight is the quickest way to get bitten. 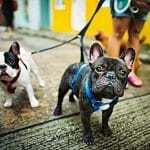 The Pet Health Network suggests a variety of methods including putting a barrier in the way, grabbing the collar or spraying the animals with water. These can be quite frantic moments, particularly if the dogs are injuring each other. Most often you’ll find that things calm down when the animals are separated. But if one dog is still aggressive, it’s essential to remove them from the area as soon as possible. Whether you have a dog regularly growling at other dogs in the home or outside in the park, fixing the problem is critical. What most people don’t seem to understand is that dogs are not human beings. When your dog is growling at a new dog, the chances are that this is down to fear and anxiety. In the natural world, they would be able to walk away and avoid any confrontation. When you have the dog on a leash in the park, it’s not so easy. If you want to keep your dog calm in the outside world, it’s worth remembering this sage piece of advice. A lot depends on where you’re walking and why your dog is barking. They could be happy. They may have seen another dog and are starting to get aggressive or frightened. Better training can help control behavior but so can better management. That means giving yourself the chance to avoid certain situations. You may want to shorten the leash on your pooch, for example, so they aren’t rushing ahead. It might work if there’s not enough space to get past someone else with a dog. You might pick a time to walk your dog when other owners aren’t around. The location can also be necessary. Open spaces, for example, could be more relaxing for your dog than narrow paths. Making adjustments shouldn’t be seen as an inconvenience. This is all about management while you are out. It’s easy to do and can have more impact than trying to train your dog. It’s also less time-consuming. Barking is an emotional response. It can be down to excitement or because of fear. If you want to train your dog so that it barks less at other dogs, you need to understand which it is. Many dogs are excited. In that case, a little desensitization can work wonders. Exposing your dog to the company of other dogs can undoubtedly help them control their emotions. They don’t see another dog as something new but an ordinary, everyday occurrence. If fear is the key to your dogs barking, then you have a more difficult problem on your hand. If they are frightened, they are not likely to listen to you or your commands. Moving away from any threat is better than trying to control things by shouting. In the long term, you may like to consider getting professional dog training help. This can take a deeper look at why your dog is scared of other dogs. It will also help you find solutions. 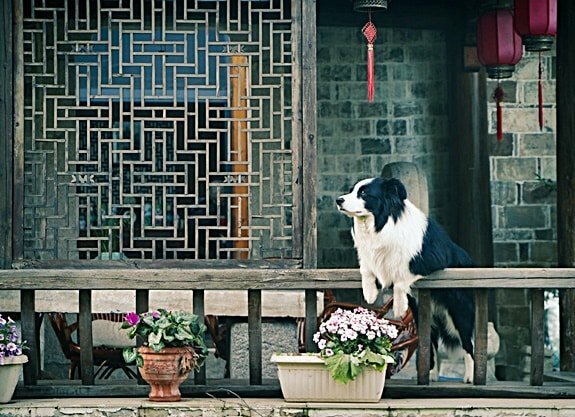 Your dog may be perfectly happy in the home when another dog visits your home. Once you get out into the park, however, things change suddenly. This may, according to some scientists, be down to biology rather than psychology. Once outside, your dog gets excited. They release adrenalin and cortisol and both of these can change behavior. A new location might have the same effect. It means that your dog is less likely to be in control and will escalate its barking or aggressive behavior. The truth is that a dog can go from a state of arousal to an act of aggression in a pretty short time. It’s not always something they or you can control. Dogs that bark at each other in the home are a nightmare. There are several reasons why a dog won’t take to another dog and a lot of it comes down to territorial behavior. The dog sees the other animal as an interloper and a threat. You can sit and hope that the two will start to get along with each other over time. It may not happen though and you will eventually need to consider whether one or the other has to go. Introducing a new dog to your household can be challenging. That initial aggression and barking, however, may well subside once they get used to each other. Ideally, you should not introduce the new dog in the other dog’s territory. Cesar’s Way suggests bringing dogs together in neutral territory so they can get acquainted first. This means that the home dog is less likely to get anxious and aggressive. They won’t feel their patch is under threat. Once they’ve been introduced and get on, things should move smoothly. According to Dog Training Nation, aggressive dogs tend to stay that way. You can train them to be on their best behavior. But they will always have that aggressive instinct. You need to be aware of what triggers it. Don’t think that they are suddenly going to learn to live with other dogs and start playing with them. It’s probably not going to happen. If there are other dogs around, keep yours on a leash and stay in control. The last thing you want to do is leave your dog’s reaction to chance. Learn the right distance. Your dog will ignore other dogs at a certain distance and get aggressive when that boundary is broken. Understanding where this can keep you out of trouble. Should I Get a Bark Collar? Many owners are looking for a simple solution to stop their dog barking at other dogs. In recent times, bark collars have come onto the market. While they may seem ideal on the surface, you might want to consider this option carefully. A bark collar is designed to deliver a spray, noise or even an electric shock when a dog barks. This may well stop the immediate behavior, but it probably won’t address the main problem. Many owners also think there’s something cruel about this kind of device. And they’d be right. If you’re considering a bark collar, it signals that something needs to be addressed. It’s time to get some professional help. The methods that trainers will use to change behavior are usually counterconditioning or constructional aggression treatment or CAT. This is where Pavlov meets your barking dog. The Russian scientists’ experiments with animals were all about changing perception. What you are trying to do with counterconditioning is alter the way your dog thinks about other dogs. This is done relatively simply. When you are walking in the park, you see a dog. Rather than pull your dog away, you give them a treat. If you repeat this often enough, the dog will associate seeing the other dog with a reward. In theory, that should stop them barking when they see another dog. You need to include desensitization in this and expose your dog as much as possible. Eventually, you should find that your dog no longer barks and doesn’t need a treat. In theory, it sounds great. In practice, it can work with some dogs. It doesn’t, unfortunately, work with others, particularly those that are overly aggressive to other dogs. This comes from the angle that barking starts in a moment of panic. What reinforces the behavior, however, is that it works. A dog that gets barked at aggressively, usually moves away. Secondly, there’s location. For example, if you meet a dog in the park, your dog might be aggressive. If you meet them in someone’s home, the opposite might be true. With CAT, context is important. A dog is introduced to the aggressive dog in the right surroundings. That dog will be moved further away. The aggressive dog learns that being nice will make the other dog move away. As with counterconditioning, it works with some but not other dogs. Any form of positive reinforcement needs to be applied with care and attention. The first tip to teaching your dog not to bark at other dogs is to commit to the process yourself. In other words, you need to continue to reinforce and not do it just when you feel like it or remember. You need to reward your dog for the behavior you want (in this case, being quiet). You should not reward it for the behavior you don’t want (the barking, growling, and whining). The best place to start this training is somewhere that appears safe for the dog. You then need to introduce your dog slowly to the stimulus and get them used to it. This all seems very easy on the surface. It does, however, take a lot of patience and time to get right. You won’t suddenly find your dog behaving itself. It could take months to get right. Many of us have to live with a dog that barks. It’s part of owning a pet and largely comes with the territory. When it becomes a nuisance will depend on the individual. 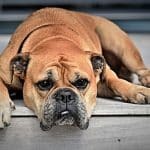 Understanding why your dog is exhibiting this behavior is going to be vital if you want to stop it. A lot will depend on the location. If you are going for a walk and your dog barks at other dogs, you can live with it. It’s a matter of walking away till they calm down. It can be more of a problem if you introduce a new dog to your home. When your existing dog doesn’t take kindly to this change, the barking and aggression can be intolerable. You may hope that things improve over time. This often isn’t the case, however. Finding the right solution can also be a little hit and miss if you don’t know what you are doing. So, understanding the core behavior of your dog will help. But how do you implement the right behavioral change? We’re not all equipped to teach our dog not to bark at other dogs. Neither do many of us have the time to devote to it. A professional dog trainer may well be the answer. 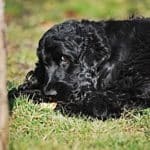 They will understand why your dog behaves in this way and will be able to implement the changes needed. They’ll also be able to advise you how you can help move the process on. This is particularly important if you have a dog growling or barking at a new dog in your home. You might want to look for someone who is a Certified Professional Dog Trainer. As with any service, make sure you check out more than one and get reviews where possible. My Dog Keeps Attacking My Other Dog (for No Reason)! Can Dogs See Colors Like Humans? I'm Lou. I set up Pet Carrier Verdict to provide a website brimming with pet carrier and health advice you can trust. As founder, writer, and editor of PetCarrierVerdict.com, Lou brings a zest for writing and a love of all animals. 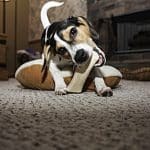 My Dog Ate a Candle – Are Candles Toxic to Dogs? What Should I Do if My Dog Ate a Slug? Can a Dog Eat Watermelon Seeds or Rinds (Skins)? 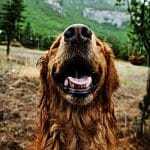 Why Do Dogs Shake Their Fur All the Time? Why is My Dog Afraid of Its Food Bowl? PetCarrierVerdict.com is a participant in the Amazon Services LLC Associates Program, an affiliate advertising program designed to provide a means for me to earn fees by linking to Amazon.com and affiliated sites.